Michael Byrne: Originally from, Co. Carlow, Michael came to live Ennis in 1988 when he was appointed to run the then £15 million ($25m) Ennis Information Age Town project. Subsequently, Michael established Acton BV www.actonbv.com employing highly skilled professionals in the technology, useability and marketing fields. 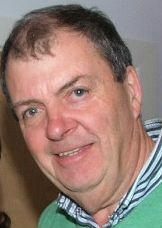 Michael is also actively involved in community affairs in Ennis and was a recent President of Rotary. He is married to Paula and they have two sons and two daughters. Eddie Corry: Eddie was born and reared in Ennis – you could call him a true “Townie”. He was educated by the Christian Brothers in Ennis, now known as Rice College. After finishing his education Eddie worked for Trans World Airlines at Shannon Airport for a number of years before taking up employment with the pharmacutical company, Roche, at Clarecastle in 1976. From then until his retirement in 2011 he held various positions in manufacturing before moving into a Training & Development role within the company in later years. Eddie has two sons and a daughter and two grandchildren. 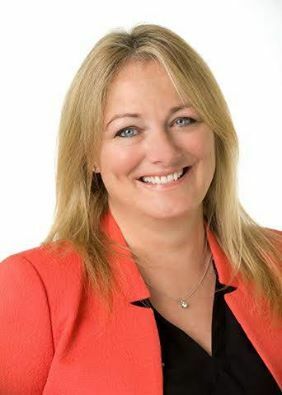 Davnet Dwyer: Davnet who is the Owner/Manager of Ennis Montessori School – a full Daycare and After-school service, grew up in Loughrea, Co Galway before moving to Dublin to train as a nurse. While in Dublin she also studied Childcare and Montessori teaching. When she came to live in Ennis in 1994 she opened her first Montessori school. Davnet was active in the Play and Pray group in Ennis Cathedral and was the Private Providers representative on the Clare County Childcare Committee for several years. She is on the Board of Management at Barefield N S and coaches Coláiste Muire and Doora Barefield Community Games volleyball teams. Davnet is married to Kieran and they have three children, Aisling, Aoife – a Youth Ambassador to Phoenix in 2011 and Cathal. Mary Howard: Mary was elected to Ennis Town Council in 2009. She is a strong community activist with special interest in social justice. Mary has been the Town Council representative and member on the Ennis Phoenix Twinning Board since 2009 also. An Ennis native, she enjoys walking, set dancing, the gym and travel. Mary was Deputy Grand Marshall at the St Patrick’s Day Parade in Phoenix, Arizona in 2011 and organiser in chief of the Baby Nicholas Memorial Run, Jog, Walk, Waddle and Toddle which took place at the Cliffs of Moher on 16th March 2013. 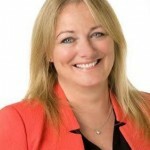 Margaret Neylon: Margaret Neylon works as Admin Director with Ennis Chamber of Commerce. She is also a member of the Ennis Phoenix Twinning Board where she co-ordinates the Youth Ambassador Programme. Margaret was born in Cahersherkin which is in North Clare and was educated in St. Mary’s College, Mountmellick. She is married to Des and lives in Ennis. They have two daughters, one son and seven grandchildren. Ruth O’Shea: Ruth is originally from Kilkenny and went to Loreto Convent secondary school. She moved to Ennis in 1984 after qualifying as an Optometrist from Dublin DIT. Her intention was to live in Ennis for a couple of years, however,” the friendliness of the people of Clare made me want to stay”. 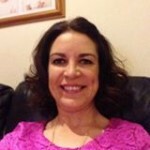 She has been and is currently a committee member of various local voluntary organisations, from the Clare Outdoor Club to Parish Councils and Schools’ Parent Associations and recently, the Ennis Phoenix Twinning Board. Ruth and her husband Pat have two teenage children, the eldest of whom was a youth ambassador in 2012. Susan Ward: Susan is a native of Co Wicklow but ‘blew in’ to Ennis 29 years ago and is now as firmly rooted in the town as a ‘blow in’ can be. She is an accomplished business professional in both Event Management and Fundraising, with experience in corporate and social responsibility sectors respectively. Susan is currently the Fundraising Coordinator for Mid West Simon Community, a registered charity providing services to homeless people in Counties Clare, Limerick and North Tipperary. Susan’s daughter, Jenny, was a Youth Ambassador to Phoenix in 2003. T J Waters: T J was born and reared in the Burren Region in Co. Clare. 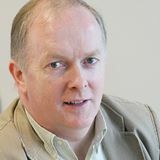 Educated at Boston National School and at the Christian Brothers (Rice College) in Ennis, he began his working career in 1966 in the tourism and hospitality industry before joining the Swiss pharmaceutical company, Roche, at it’s Clarecastle site. Over the following 30 years T J held various management positions in Manufacturing, Environmental and Human Resources before retiring from the Company in 2007. He has a long history of community involvement in organisations such as the Lions Club, Ennis Chamber of Commerce, Clare Youth Services, Ennis Information Age Town and Ennis Phoenix Twinning Board. T J and his wife Ger have three married daughters and six very active and stimulating grandchildren. Fiona Whelan: Fiona is Staff Officer, Municipal District of Ennis at Clare Co Council. She is a member and secretary, of Ennis Phoenix Twinning Board since 2014.